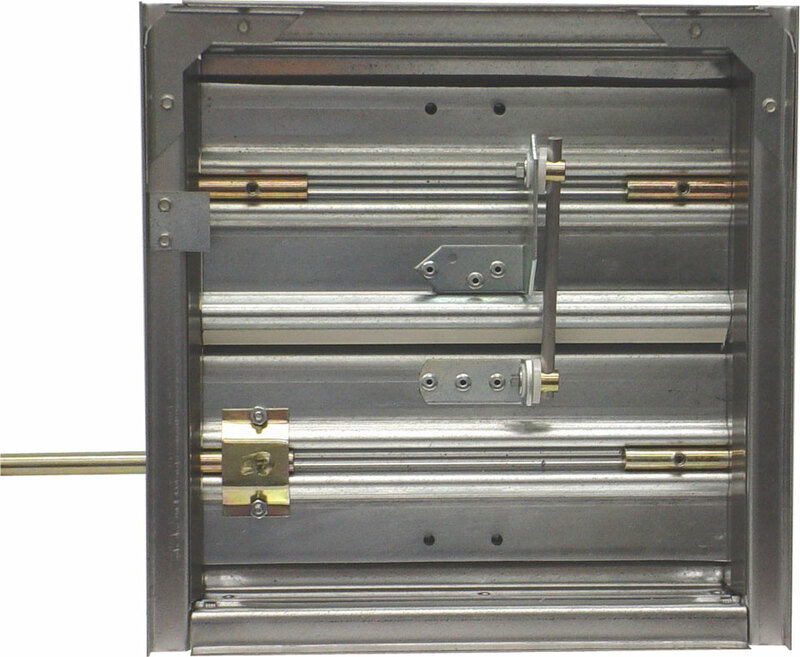 The series A395 control damper is designed as a low leakage control damper. Fabricated using galvanized steel, the 395 damper offers a 4" deep hat-shaped frame and 6" deep, single thickness blade design. As standard the 395 damper is fitted with stainless steel jamb seals and extruded vinyl grip blade seals. The linkage supplied with the A395 damper allows the factory to individually adjust the blades for maximum shut-off.The blade and linkage can also be individually adjusted in the field. Rated for up to 2000 FPM at 4" S.P. Available Sizes: 1" x 1 7/16" Usable Flange: 1 ¼"
1" x 1 15/16" 1 ¾"
Note: When frames of adjacent panels are joined at the mullion, the flange will be omitted. Add-on flange is only around the outside perimeter of the frame. Hat-shaped frames are fabricated to 14 gauge steel when a "double-sealed" press fit bearing is used.With flange sleeve oilite bearings, frame thickness can increase to 12 gauge. 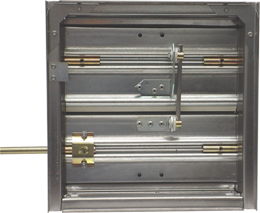 Channel frames are fabricated to 14 gauge steel when a "double-sealed" press fit bearing is used.With flange sleeve oilite bearings, frame thickness can increase to 10 gauge.